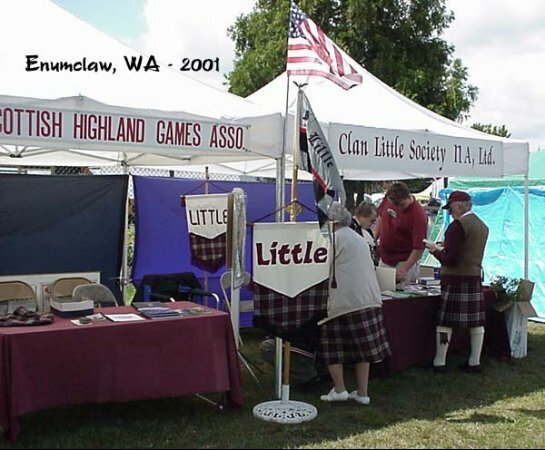 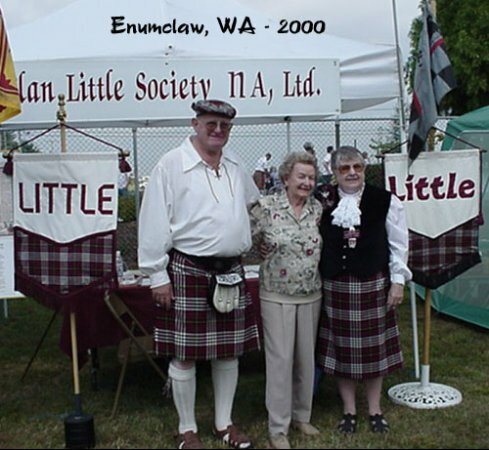 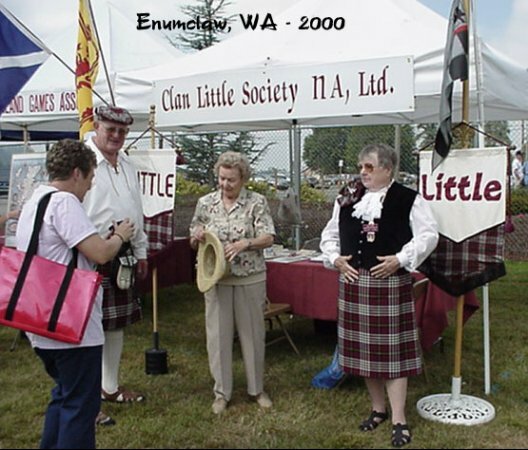 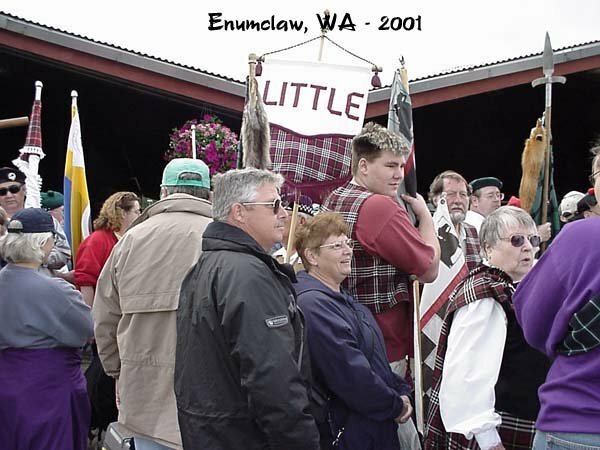 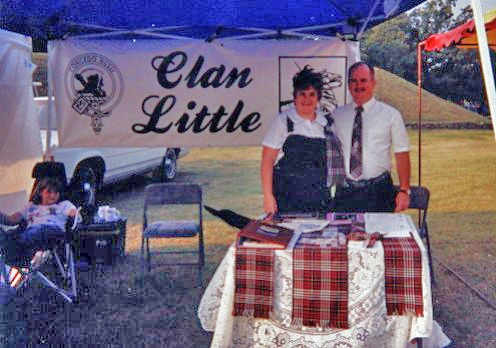 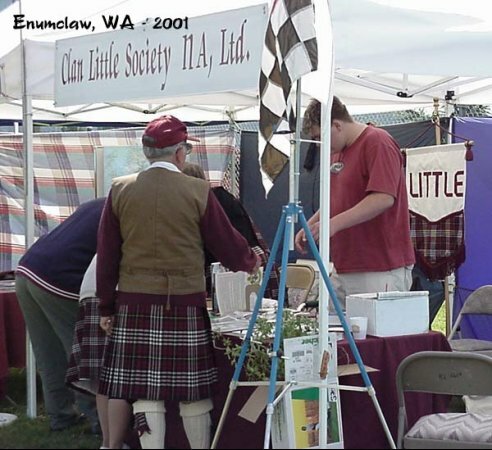 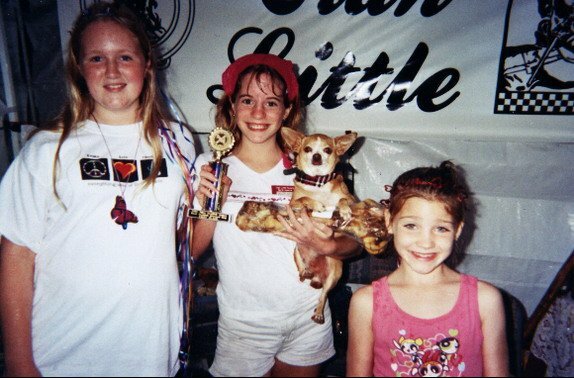 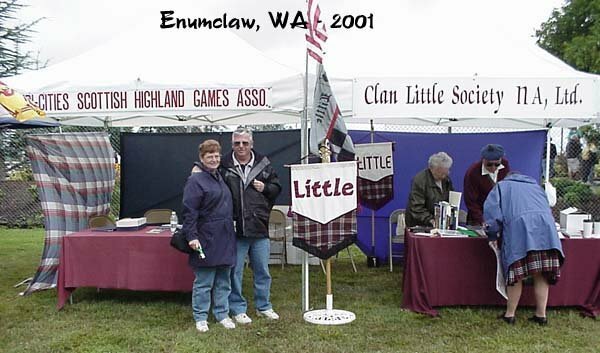 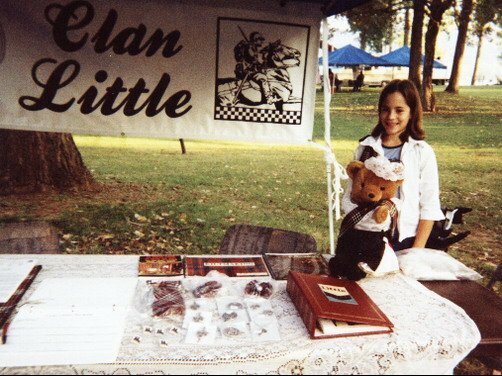 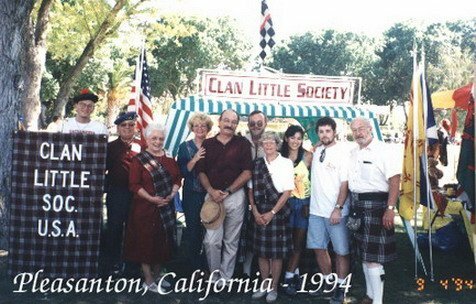 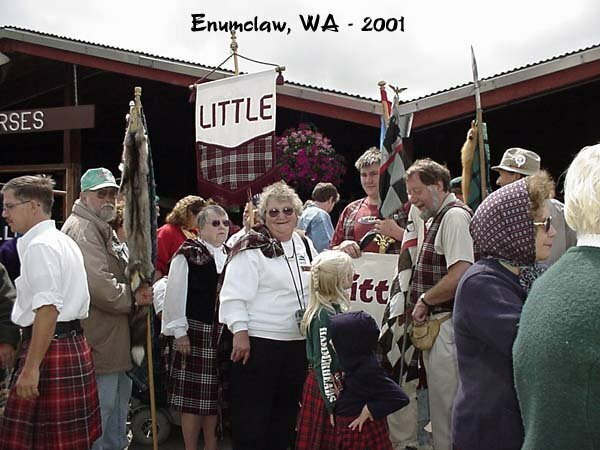 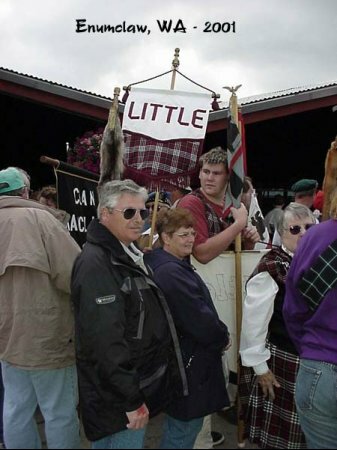 CAN YOU JOIN the Clan Little Society? 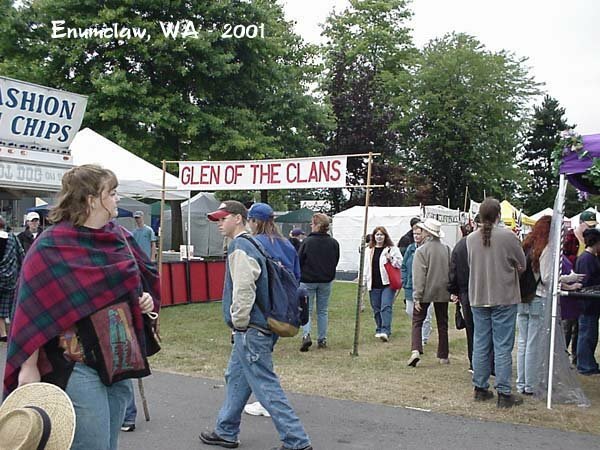 Clans in Scotland were known to include all who expressed allegiance to the family name. 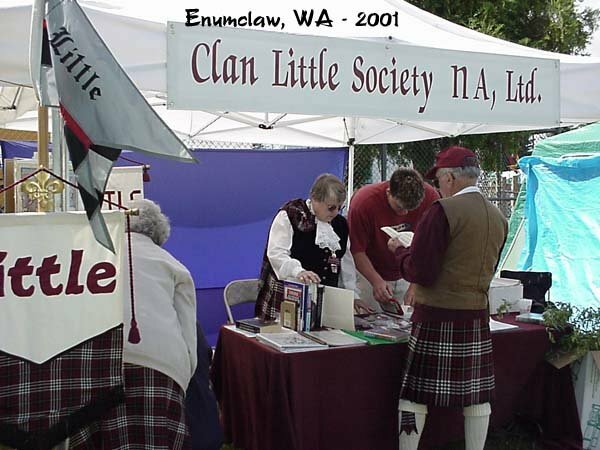 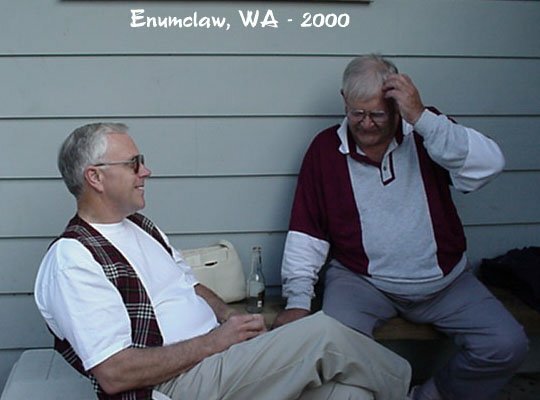 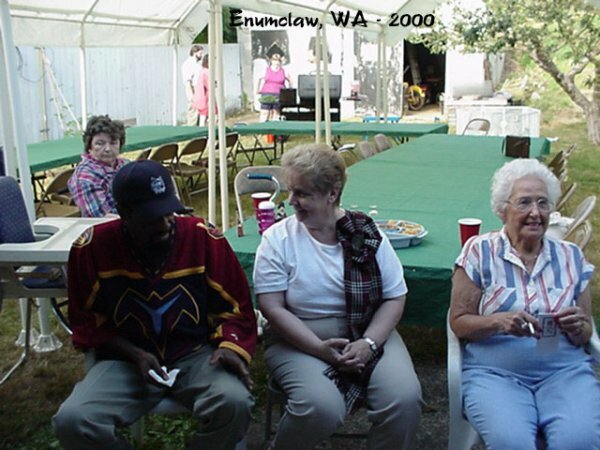 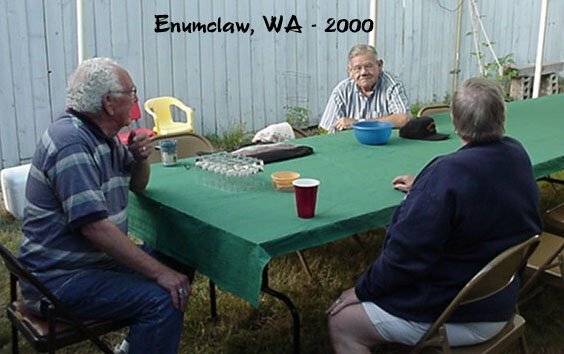 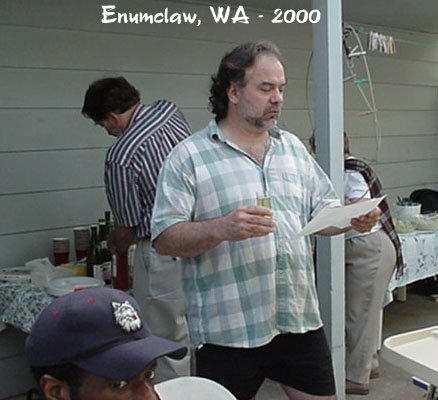 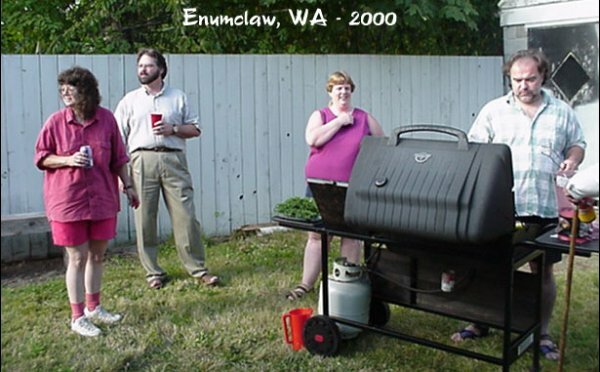 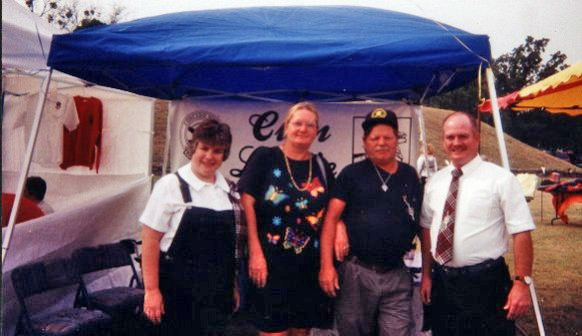 A Clan Society today is just a group of people who share a common interest in a particular surname. 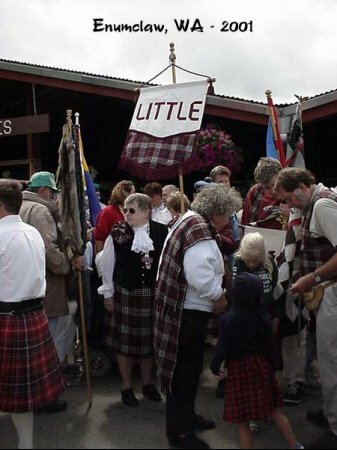 So, if you have any interest in the surname Little or its variants (such as Lyttle, Lytle, Lytil, Littel, Littell, Lityl, or Litle), then you're already one of us! 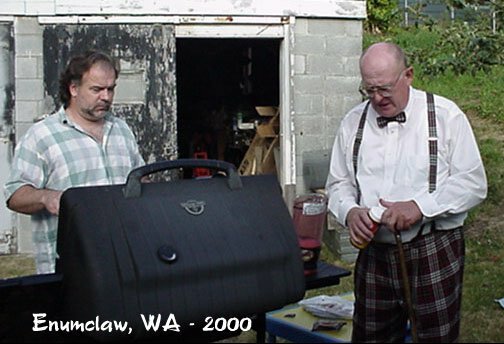 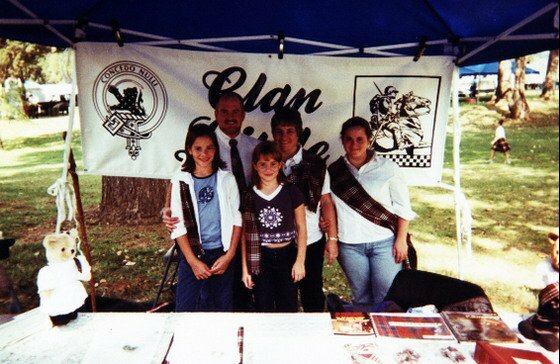 People join together in clan societies to preserve the history and traditions of their Scottish ancestors. 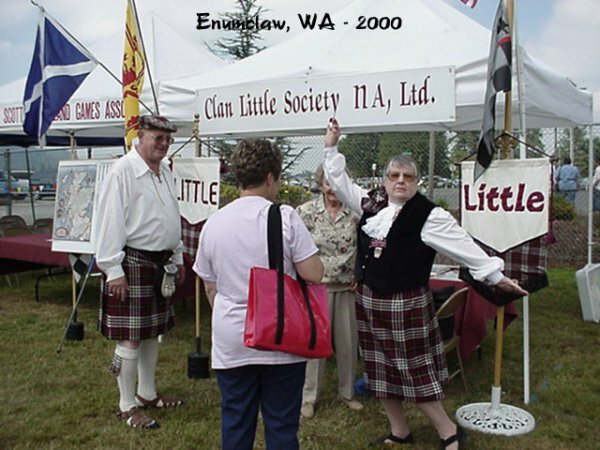 This is done at cultural and heritage events such as clan callings, Burns dinners, Hogmanay celebrations, or Highland games and festivals. 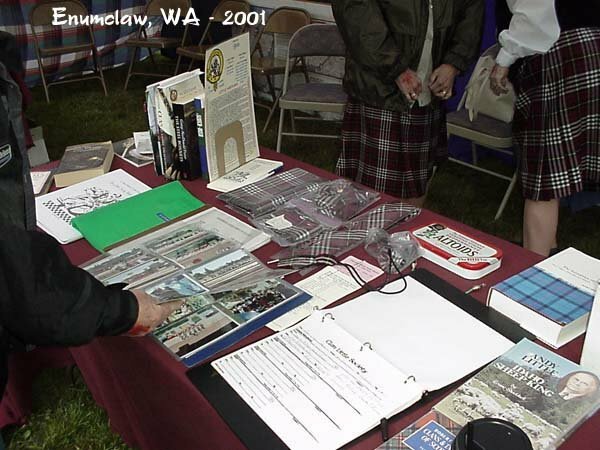 They sometimes provide educational lectures, operate information tables, or set up informative displays at schools and libraries. 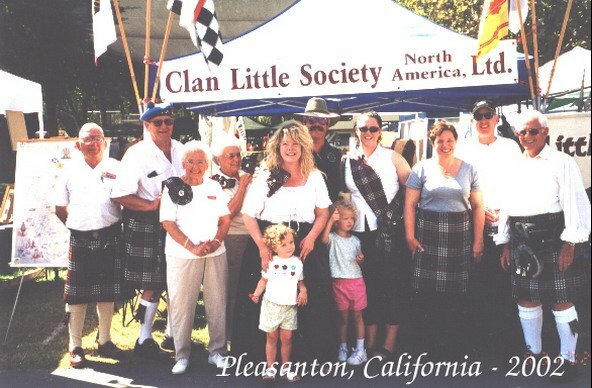 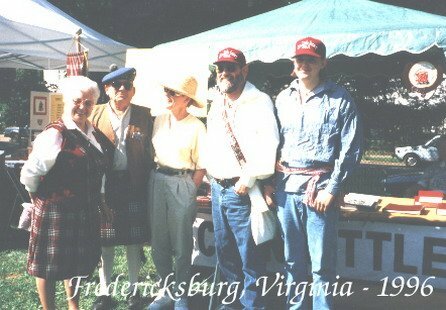 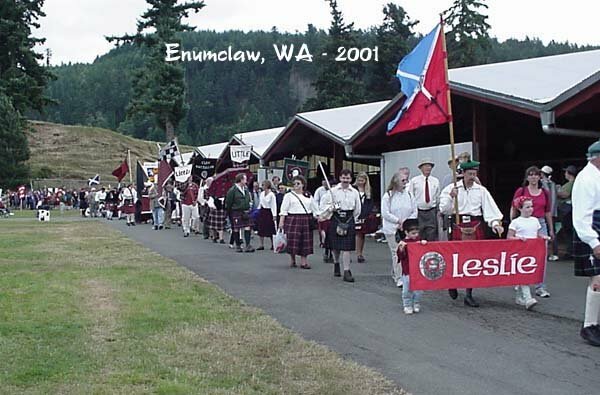 They have fun participating in community and holiday parades singing and dancing together to the music of pipes and other traditional instruments. 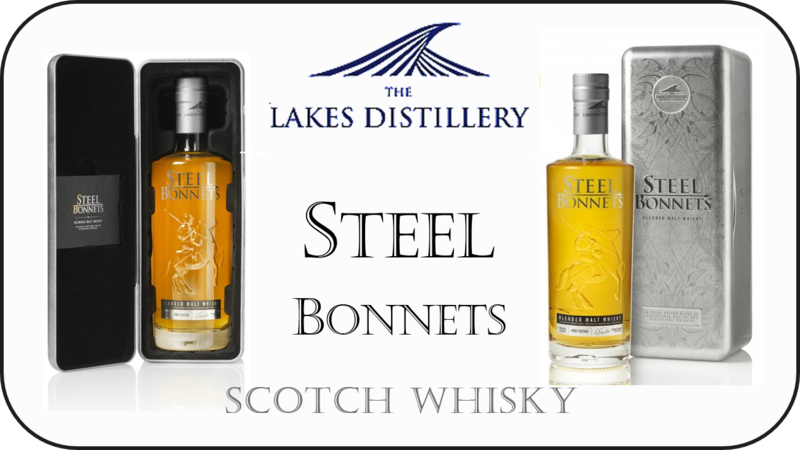 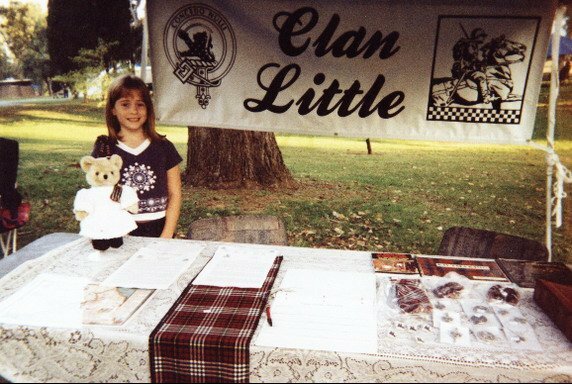 They meet interesting people and usually provide small scholarships to support children undertaking studies in Scottish dance, piping, or language. 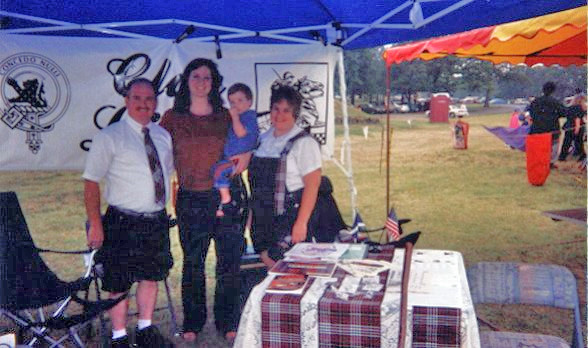 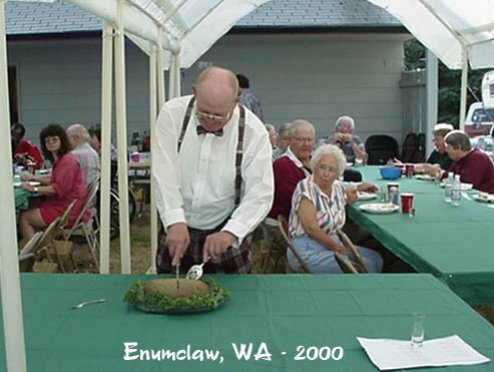 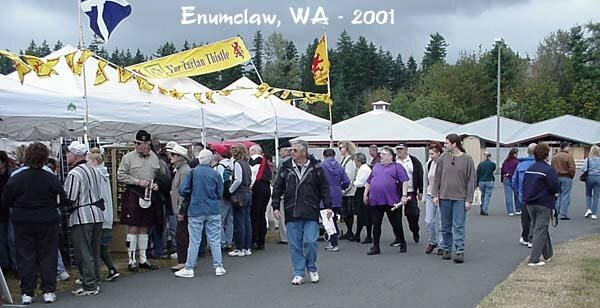 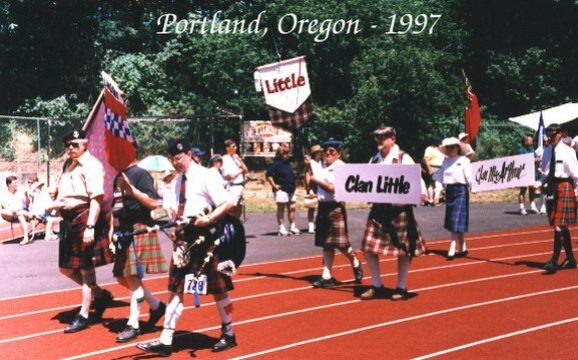 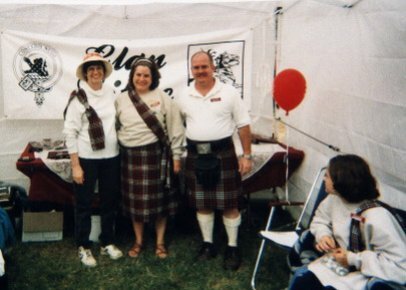 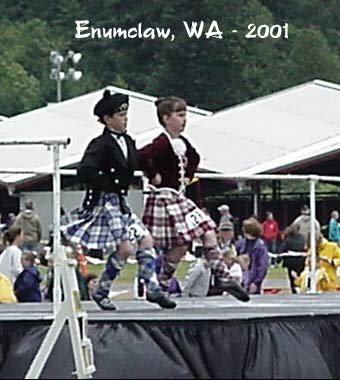 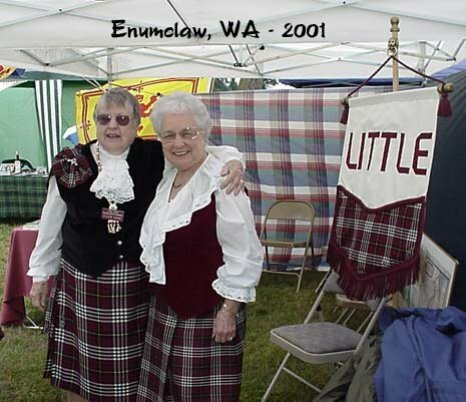 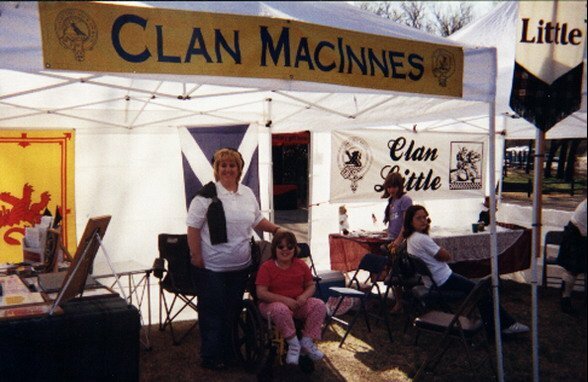 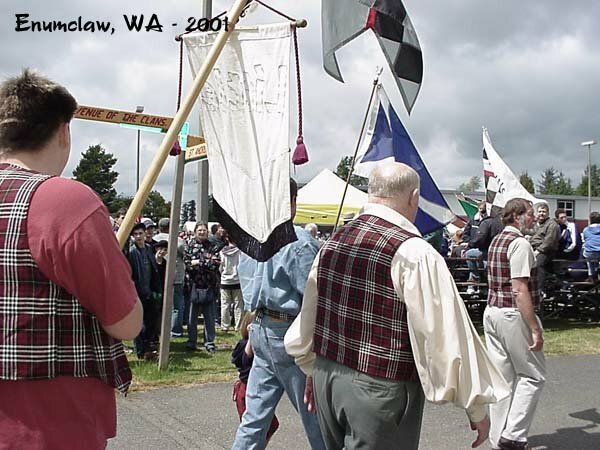 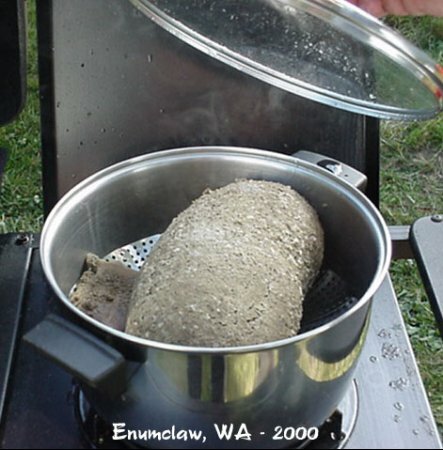 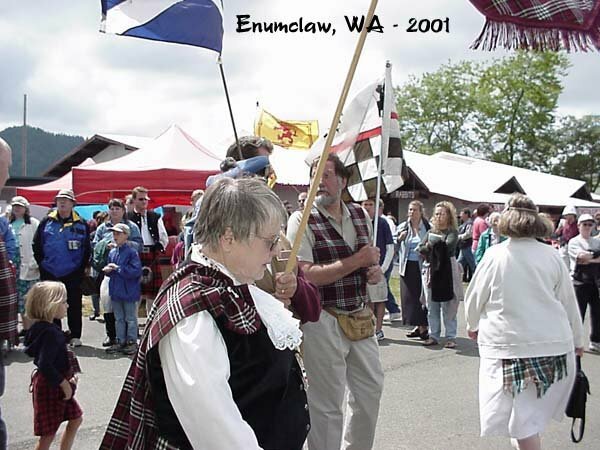 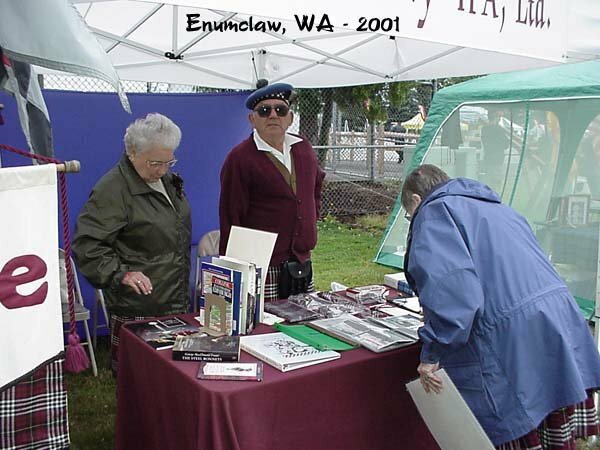 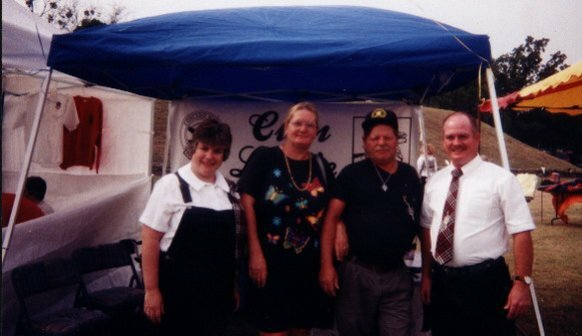 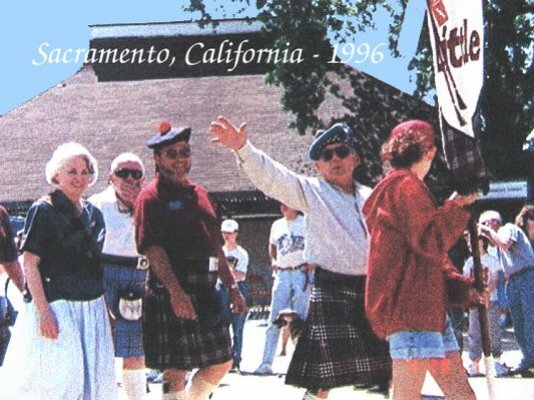 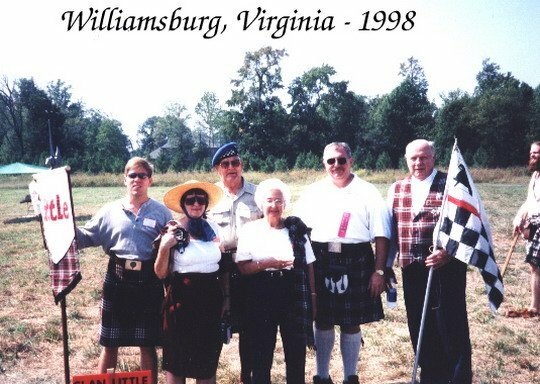 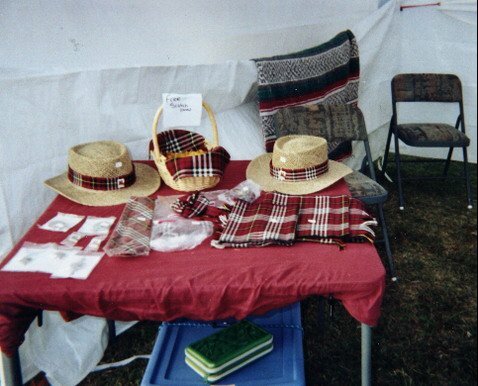 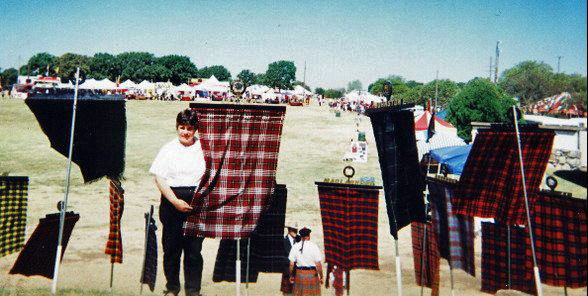 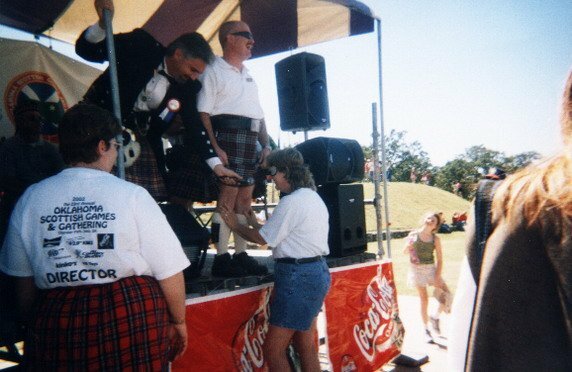 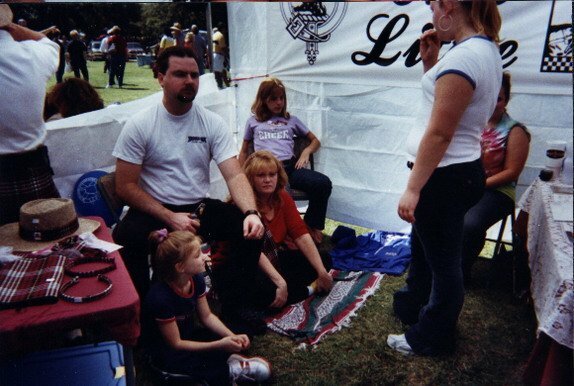 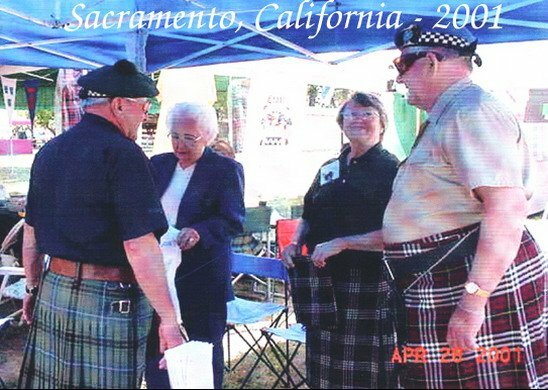 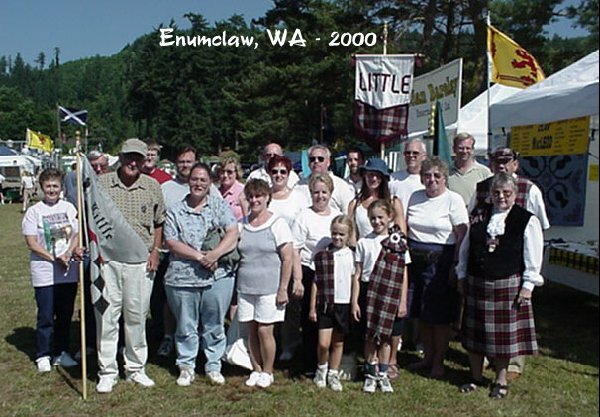 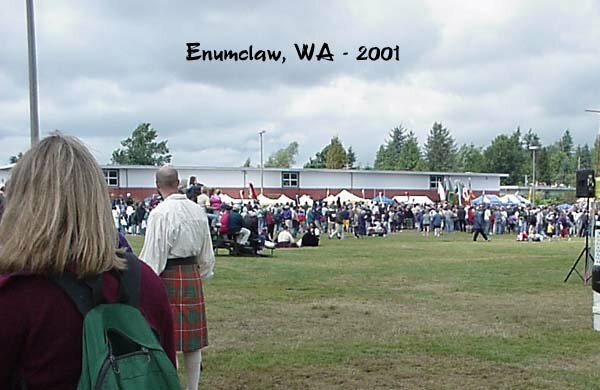 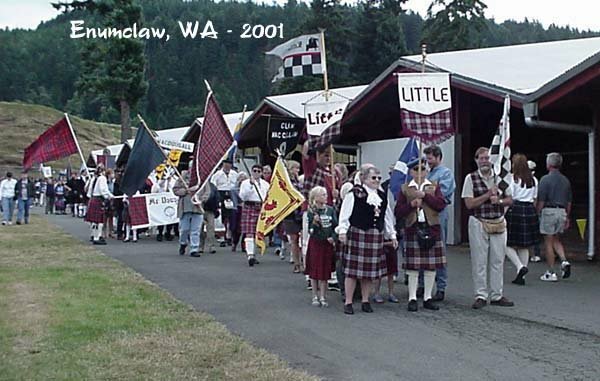 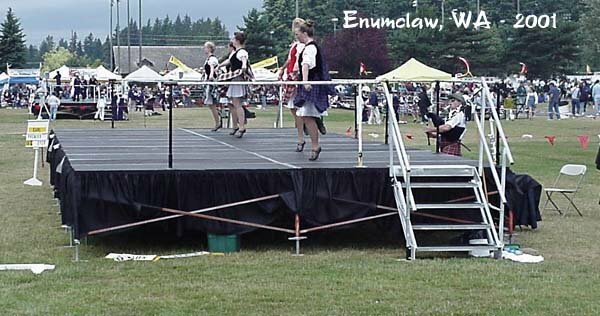 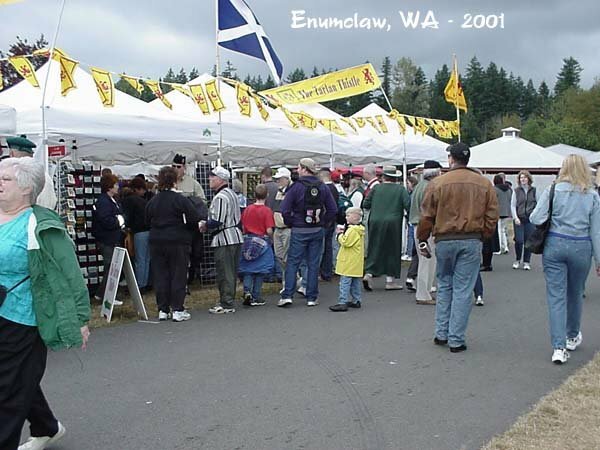 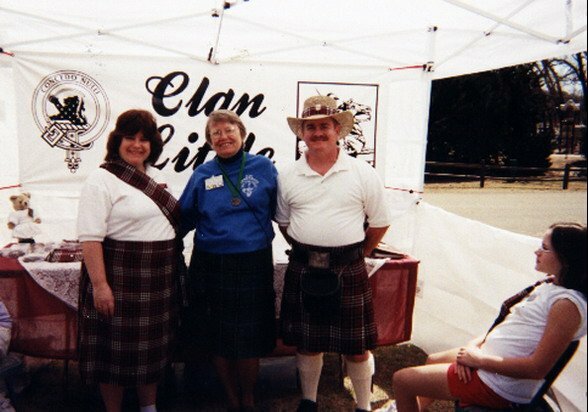 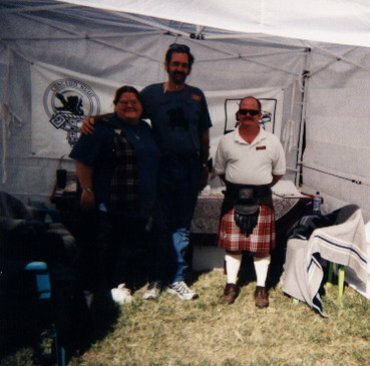 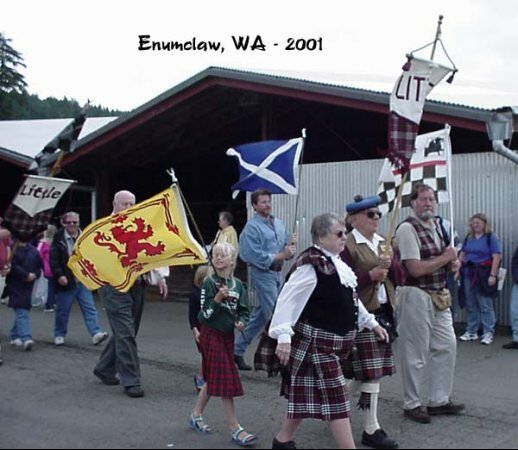 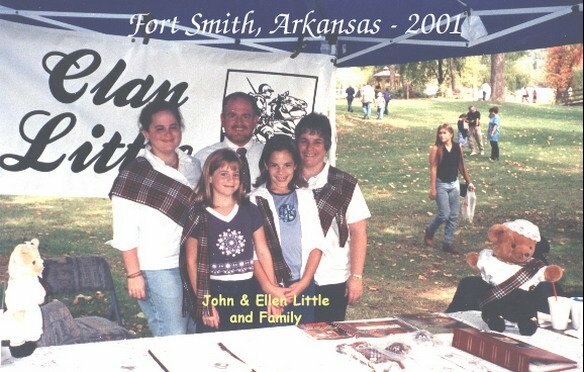 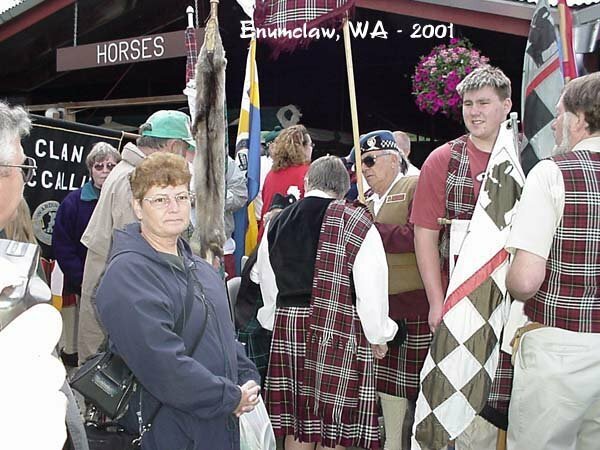 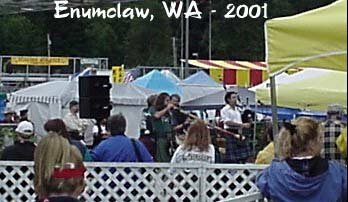 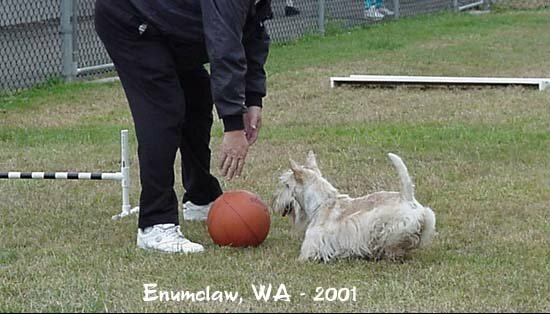 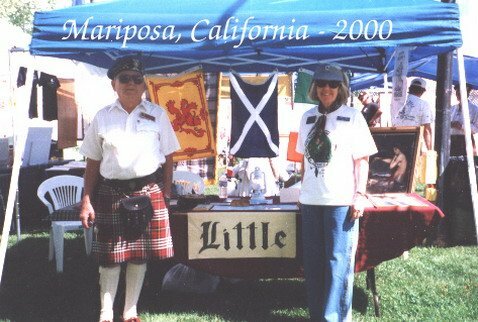 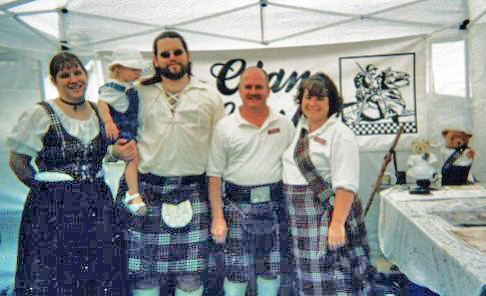 They support clan members at Scottish games who compete in archery, shortbread baking, or history quizzes. 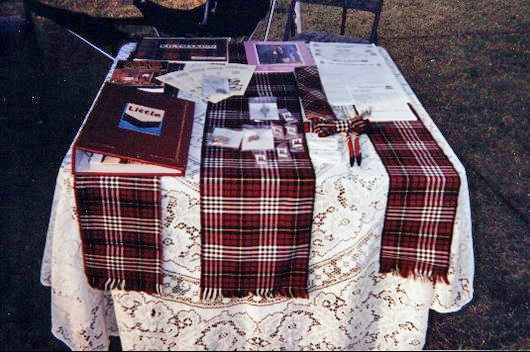 They worship together at Kirk (church) ceremonies such as the annual Blessing of the Tartan and Flowers of the Forest, which remembers those who have passed away since the last gathering. 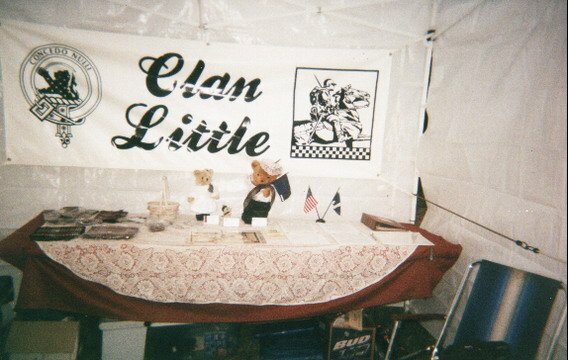 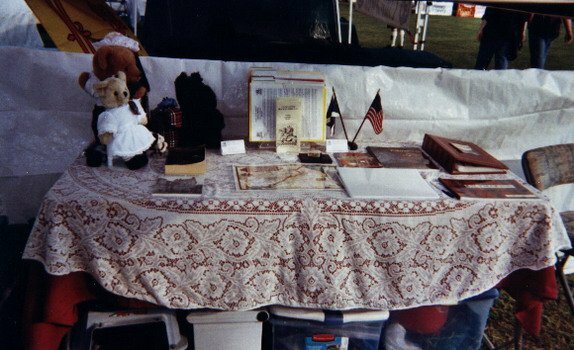 Membership gives you access to the newsletter "The Reiver" and its archives, the Quartermaster's store where you can buy branded jewelry and clothing, including the "Little of Morton Rig" tartan fabric (although we do not make kilts), and our extensive genealogy database. 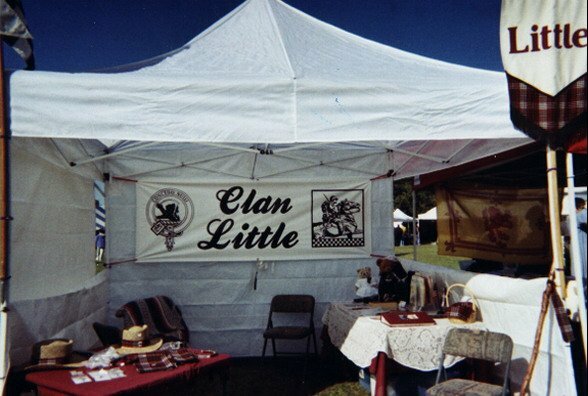 Annual dues for Clan Societies across America are $25, but we're keeping costs to a minimum so we can charge only $10 US per year (about £8, 9€, or $15 NZ) and we intend to maintain that price. 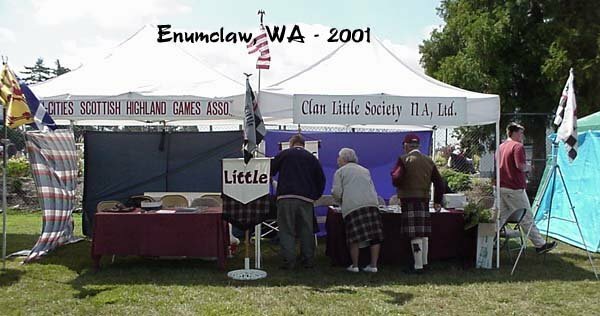 Of course, if you are a Life Member, you're already paid up! 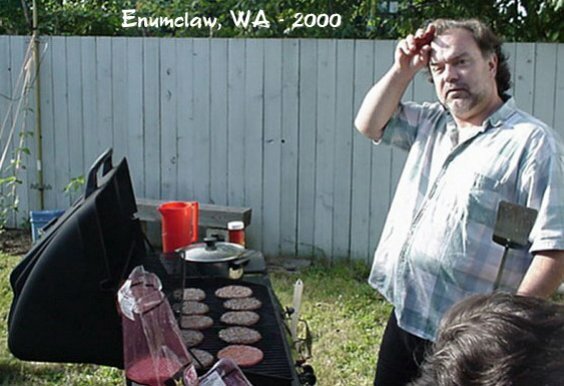 Just contact the Secretary for your password.